Brightening the colour of your smile is a safe and straightforward way to enhance how your teeth look. If you have naturally dark teeth or a substantial accumulation of stains that have built up over the years from coffee, tea or smoking, our professional teeth whitening treatments may be the best solution to getting the whiter smile you’ve been hoping for. ZOOM Teeth Whitening is an accelerated system that allows us to drastically brighten your teeth by several shades in just one appointment. How does it work? First, we place a protective barrier over your gums (to prevent any irritation) and then brush the professional grade whitening gel directly onto your teeth. Next, a safe LED lamp is placed over your mouth, accelerating the oxidation process and dissolving the stain particles. We repeat the 15-minute process another three to four times, or until the full results are achieved. When your treatment is over, you’ll have dramatically whiter teeth that you can maintain in the convenience of your own home. Is It Time to Whiten Your Teeth? 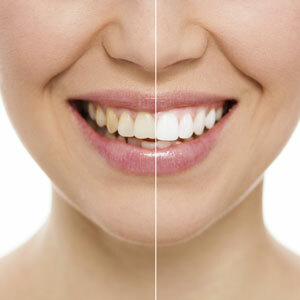 The ideal candidate for ZOOM Teeth Whitening will have a smile that’s healthy and free of gum disease or tooth decay. We will screen your teeth and gums first to make sure your mouth is ready for dental bleaching. Would you prefer to have a take-home whitening system instead of a same-day treatment? We can arrange this option if you prefer! Additionally, take-home trays allow you to touch up and maintain your results more easily. A whiter smile is only a phone call away. Contact Ormeau Dental today to book your teeth whitening treatment!